Rainbow Dash learns about another Wonderbolts tradition... and a little bit more. River Road just had a magnificent idea. One so good I felt I should implement it at once. If you missed it, I published a story yesterday about, among other things, the tabloids making up provocative headlines about the Wonderbolts. (I may have drawn inspiration from Estee, given how she's running the contest.) In any case, River had a very fun idea of opening the floor for possible other headlines the papers might run, not necessarily for the 'Bolts. You know, in hindsight, it probably would've been a good idea to put this blog up before writing the story. Ah well. If I ever write a sequel, I'll have plenty of material. So, give me your best shot! Bonus points if you write (part of) a full article. I'm gonna participate of course, but so far all I had were rather weak. I'm sure they'll come to me when I least want them to. Someone writes the Wonderbolt's lives like Soarin' is the protagonist in a harem comedy. Which is completely untrue, but sells papers. "Local Apple Farmer Is A Secret Orange Sleeper Agent"
"Jumpsuit or rubbersuit: Wonderbolts uniforms contracted by supplier of adult wear?" "Wonder-pollution: The truth about the contrails!" "Spitfire's Secrets: The applications of firestone in beauty products." "Curlers, hairspray and thunderheads: Eight steps to the Surprise style." "Secret Siblings or paramours? The latest facts and fabrications on Spitfire and Photo Finish." 4173072 That's not Wonderbolts news. No, but I liked it so much that I modified the blog post to allow for it. Heck, I'd kind of left it ambiguous to begin with. "High-ranking Wonderbolt Blaze secretly Mirror-Pool clone of Wonderbolt-Captain Spitfire?" - "I mean, have you seen her?" - "Why would the Wondbolts need to be expanded like this? What is Celestia not telling us!?" - "If the Wonderbolts employ clones of their high-ranking members, it reduces the chance for real ponies to join! They're taking away jobs!" ...And I haven't even read the story yet. ......So I don't actually know if this is in line with what you're looking for. It's doubly odd, for the choice of lines she got. specifically talking about Spitfire. Of course, the boring explanation would be that Blaze is a cousin rather than a secret sibling or a clone using mane-dye, but the idea of "Spitfire fell into the Mirror-Pool as a filly" seems appealing. ...Did I mention this observation before? I feel like I've mentioned this before. Or perhaps that was on somepony else's blog. 4173223 And that's just juvenile. Nepotism Strikes Wonderbolts! Newest Princess Pulls Pegasus Strings To Get Friend Into Academy! Steroid Abuse At Wonderbolt Academy! Photos Inside! Tragic Incompetence Nearly Kills Equestrian Heroes. Elements of Harmony Caught Just Before Fatal Plunge! Cracks In Wonderbolt Armor! Newest Cadet Found Crying In Corner Before Performance. Covered Up By Fake Sonic Rainboom. Cadet Cookie Caper! Newest Wonderbolt Cadet Found In Filly Scout Cookie Tampering Incident! Princess-Pocalypse Upon Us? How this plague of pretty pony princesses will plunge us all from plenty to penury. Ditzy Double-Dips the Derp. Eyes now look completely normal. Generous Greed: Rarity's plan to use the free market to lift herself up, and pull the rest of us up with her. "Newest Princess sighted at Wonderbolts Academy; alicorn to join the 'Bolts?" "The 'Butterfly Beauty' joins the Wonderbolts; first unicorn contestant from Best Young Flyers sighted at WBA"
"Element of Kindness, secret flying prodigy and future Wonderbolt?" "Nepotism in the Wonderbolts; Surprise's sister spotted at WB Academy"
"Orange Sleeper Agent infiltrates Wonderbolts"
"The new fad from Cloudsdale: Buy your personal cloud trampoline now"
Oh, wait, that's my story. Onward anyway! Princess Twilight Sparkle Names New Field of Science "Astrophysics"
The article goes on to cast the other male members of the Wonderbolts as ineffectual buddy characters, romantic rivals, misidentified mares, or complete nonentities. "Thought I told ya t' burn all them 'Applejewel' photos." "But you were so glamorous! I had to keep at least one." Oh goodness. Wonderbolt-dispersed chemtrails. I have to think "Wake up, sheeple!" is offensive to Equestria's ovine population. I was waiting for you to read the story before I started replying to these, just so I could see your expression when you finally realized how right you were. Princess Twilight Sparkle refused to comment on the possibility of her proposed Large Harmony Collider forming a black hole. You read Ranma 1/2 and Techi Muyo too eh? Bonus points for pulling from locally real events. Good thing the Harmonious Normalcy Initiative is still in place journalists seem to ignore Ponyville for some reason. Only Lunigi can express my contempt. There's something hilarious in the idea of all "Pony verbs a noun" titles being Equestrian headlines. The former yes, the latter no. Still, I'm familiar enough with the genre to know its conventions. Just to be clear, is the contempt for the events of the headline, or for me for coming up with it? Just the events of the headline. Future Tyrant Flurry Heart to rule with Iron Hoof! Iron Hoof was not available for comment. Soarin dives face first into Apple mare's pie. Wonderbolts Recruit Involved in Yak Diplomatic Scandal! Rainbow Dash was seen dropping heavy snowfall on visiting dignitaries! Is this loose cannon a threat to our global image?? Elements of Harmony Accompany Wonderbolts Recruit on Equestrian Apology Tour! Under the guise of "friendship summit", belligerent foreigners demand appeasement from Princess Twilight and Equestria's brave protectors! 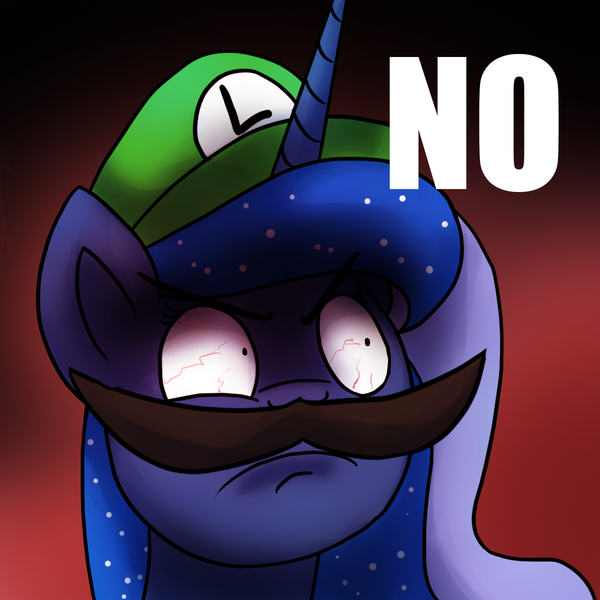 When will our youngest Princess begin to stand up for Equestria?? Cutie Mark Crusaders: Legion, Yay! Local pariahs obtain identical Cutie Marks after brainwashing heiress to Barnyard Bargains Inc. Possible connections to known terrorist/"equalist" Starlight Glimmer? This is hilarious, but I have to wonder how you found this blog over a year after I put it up.